The PVM-2541 “All in one” OLED monitor delivers unparalleled picture quality with high-value performance features and functions, all in a compact design. Sony’s 25-inch Super Top Emission OLED display panel benefits from superb black performance, wide colour gamut, and quick response with virtually no motion blur. 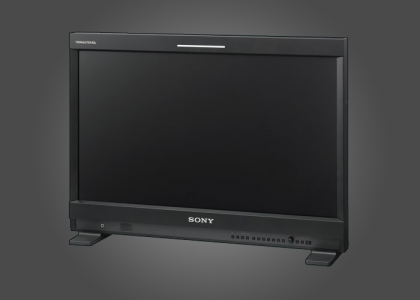 By combining the Sony OLED display panel (Full HD, 10-bit driver) and Sony’s OLED processing technologies, the PVM-2541 OLED monitor delivers groundbreaking picture quality.